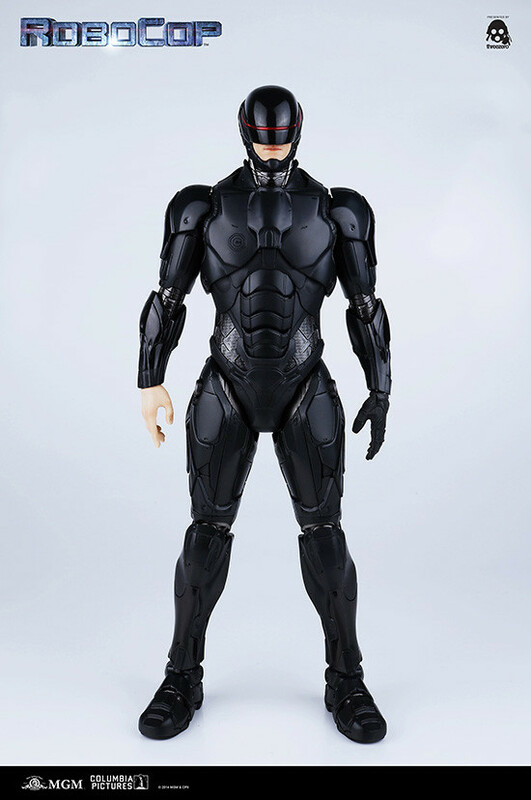 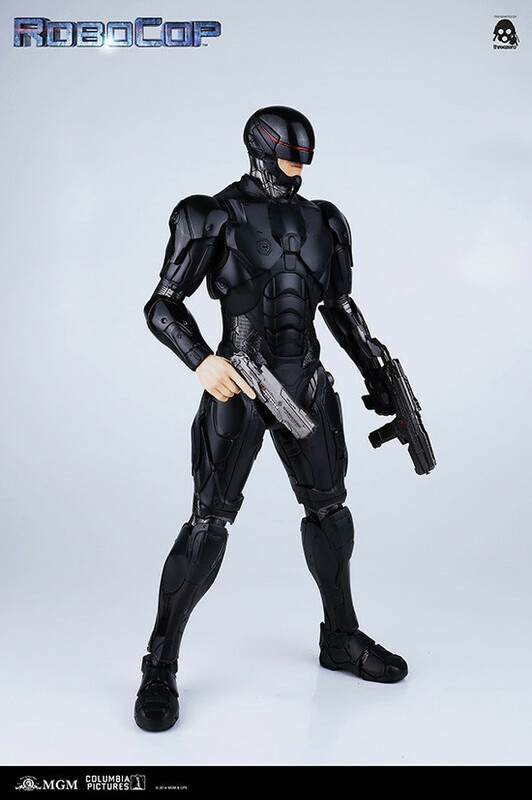 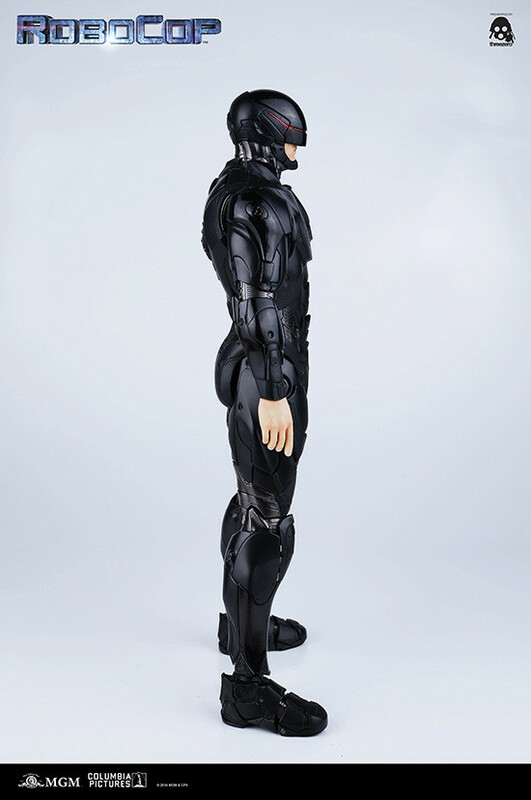 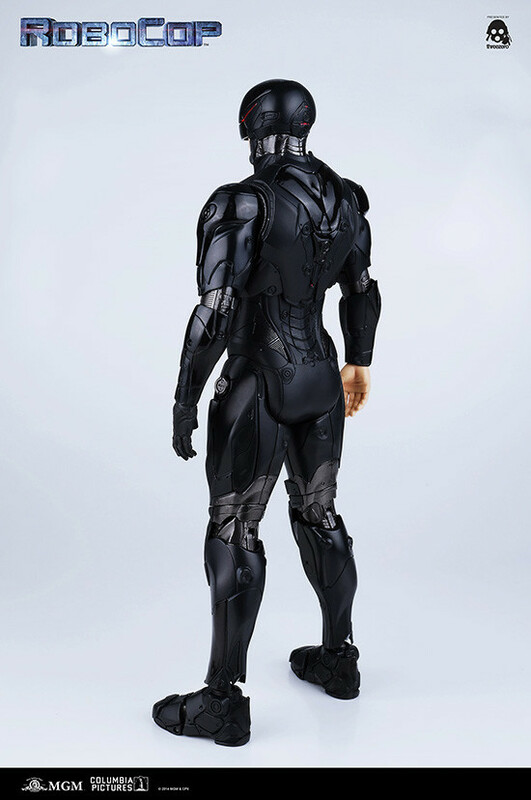 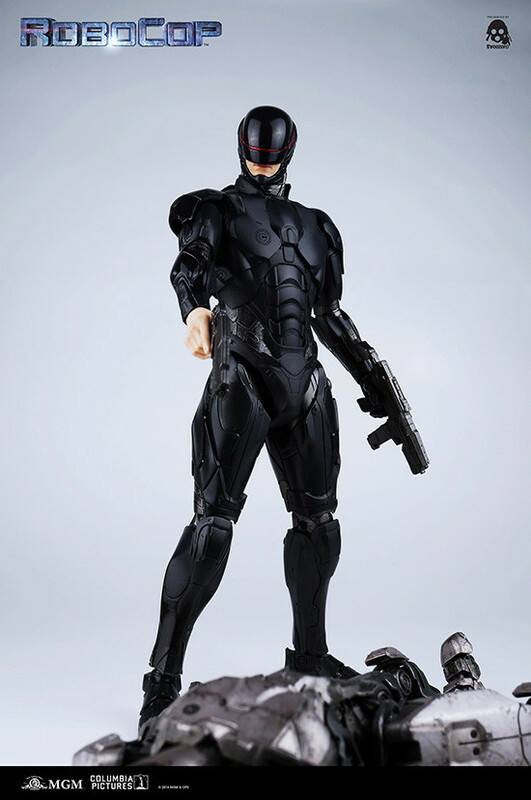 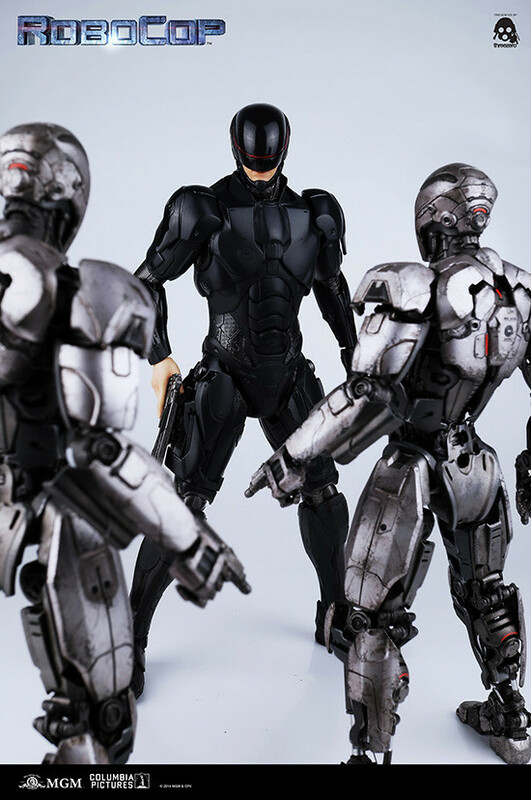 From the RoboCop remake comes a figure of the reborn black colored RoboCop! 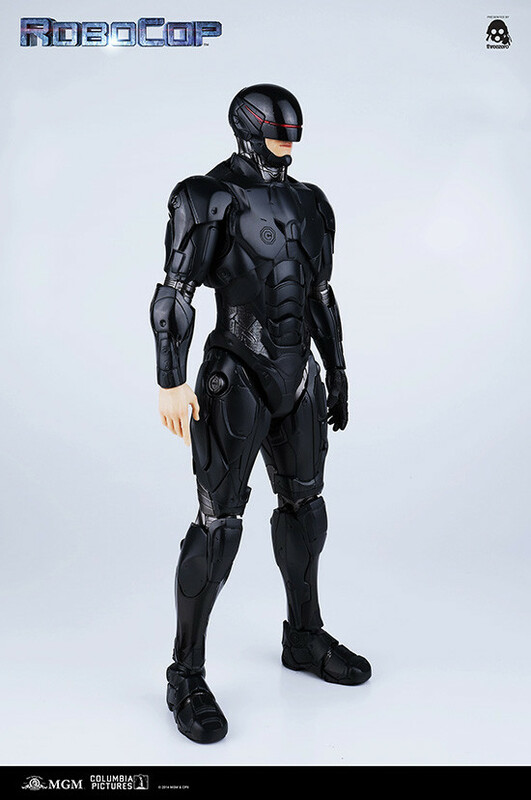 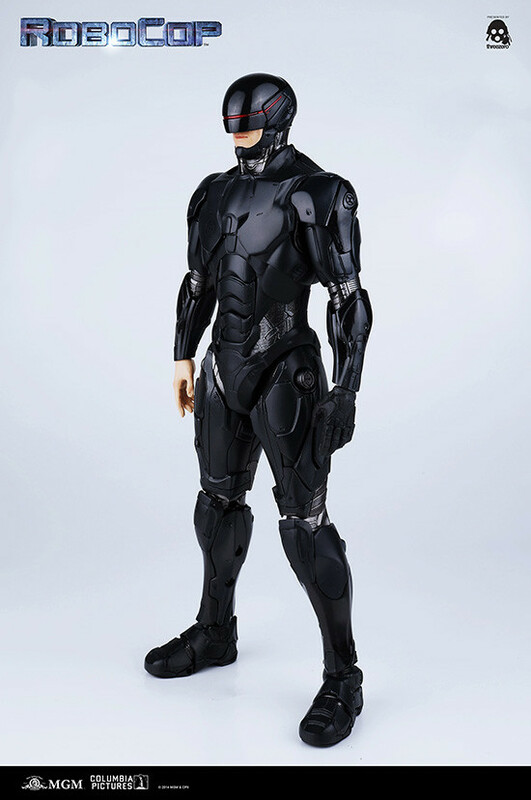 From the 2014 remake of the popular film 'RoboCop' comes a 1/6th scale articulated figure of RoboCop 3.0, following on from the previously announced silver 'RoboCop 1.0'. 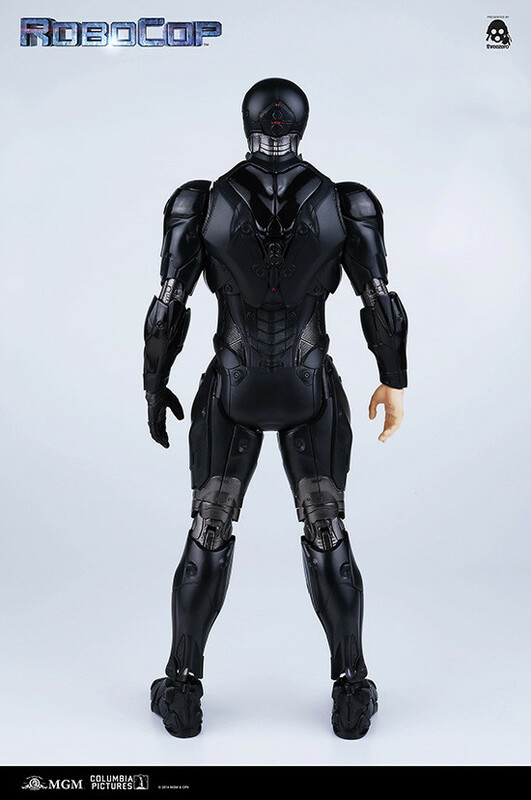 The difference between the two is more than just color however - the design differs in all the ways it did in the actual film as well! 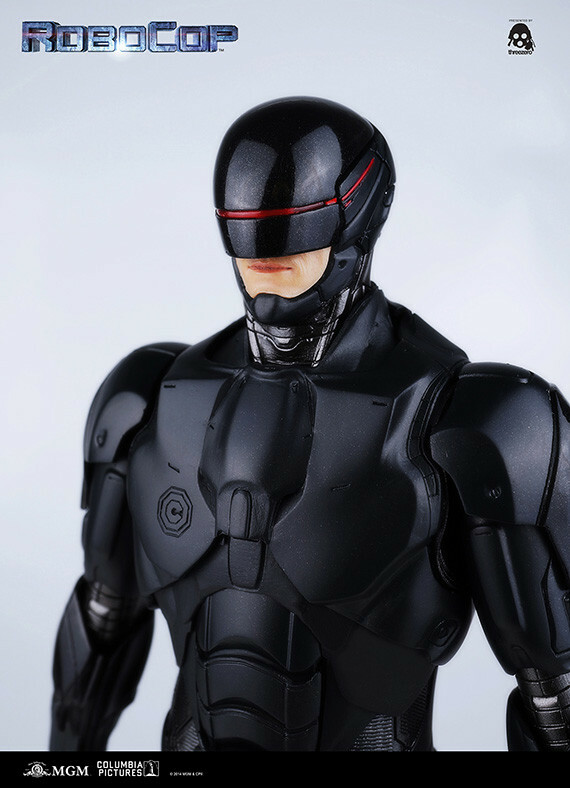 His visor is fitted with a LED light-up feature (batteries sold separately). 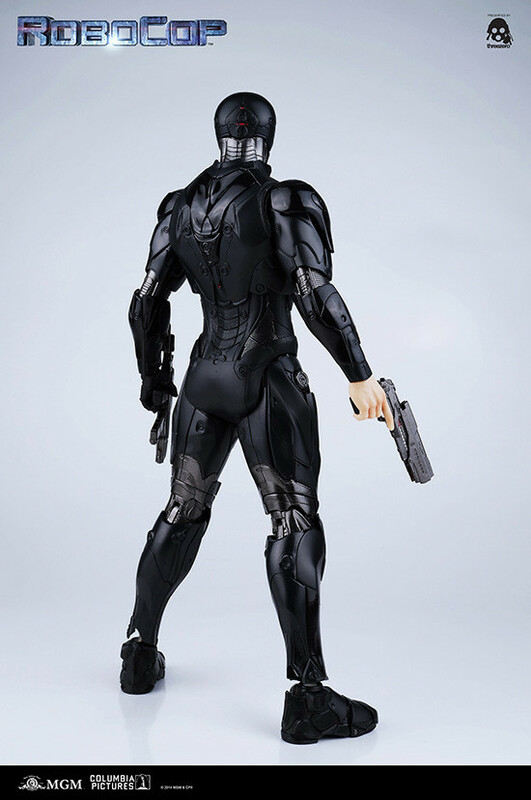 The holsters on his left and right thighs can be used to hold the included stun gun and machine gun respectively. 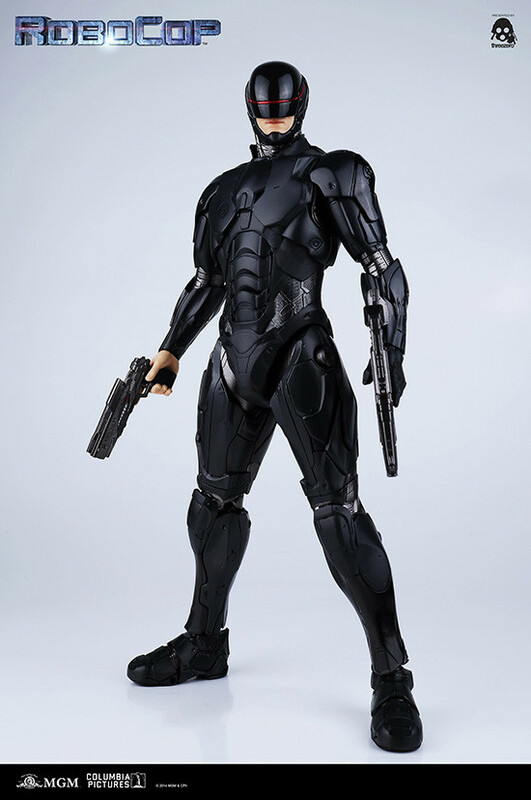 Both guns also come in a second form to display them being held as well, and the machine gun can be extended manually. 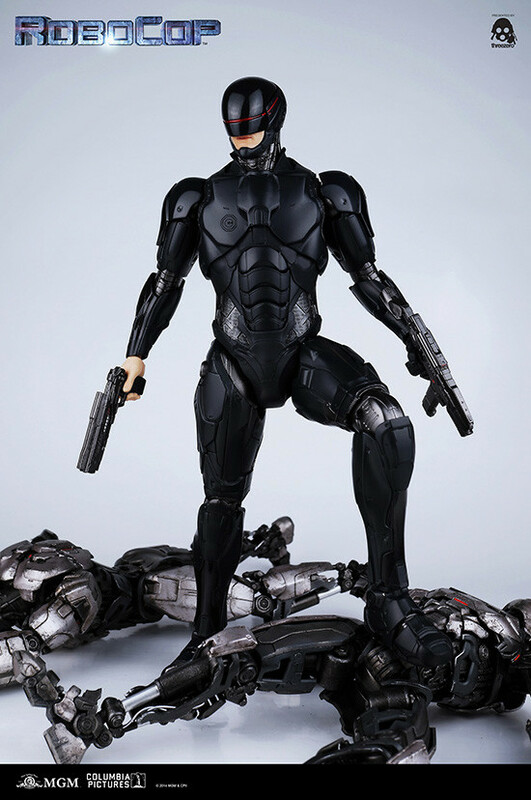 He also comes with three sets of interchangeable hand parts - relaxed hands, fists and hands for holding his guns. 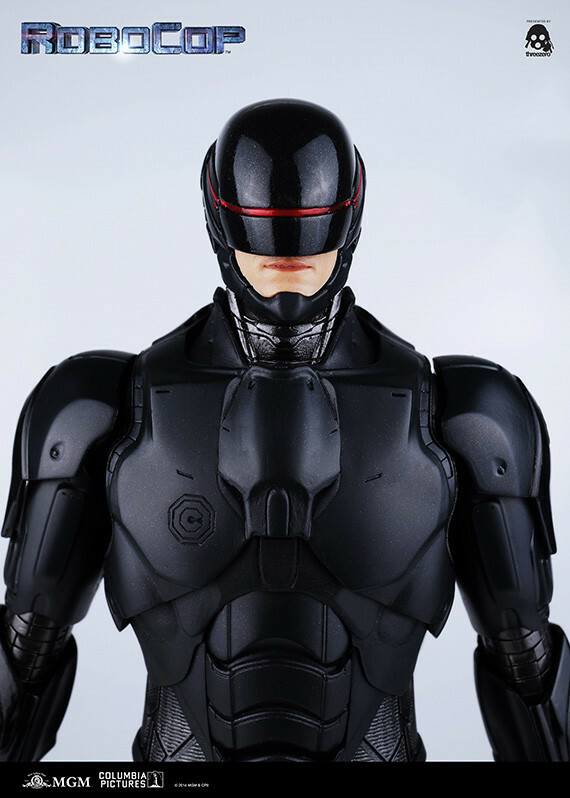 ROBOCOP (2014) © 2014 Metro-Goldwyn-Mayer Pictures Inc. & Columbia Pictures Industries, Inc.